With a brand new embroidery technic, this set is in a “Candide” ambiance. Alla Scala is available exclusively in white. The Duvet cover is all over embroided on one side, and in full percale 400 thread on the other, closed by hidden buttons. The shams are framed on the 4 sides by a 20cm tissu border. 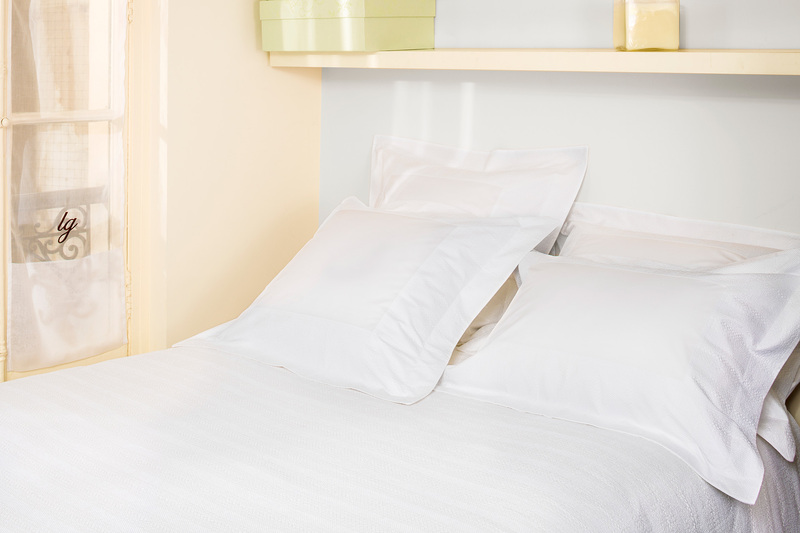 The sheets have the same 20cm embroided border applied horizontally on top of the sheet.